Electrical Hazard Protection meets ASTM F2892-11 standards. Composite Toe meets ASTM F2412-11 and F2413-11 I/75 and C/75 standards. 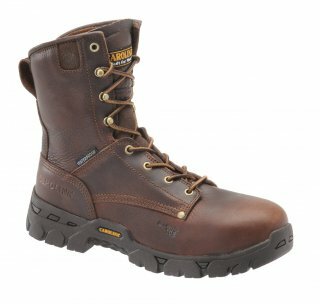 This high-quality, waterproof boot features a mesh lining and comfortable memory foam footbed for maximum comfort. It contains non-metallic safety features and heavy-duty construction for durable and convenient traveling.